I have no recollection of what I wrote my college admissions essay about. I don’t even remember the prompt. I do remember one of the short answer questions for UNC: “Who is your favorite superhero and why?” I recall being stumped and frustrated by this question because I had never followed or cared about superheroes in any capacity. My answer was Robin Hood. Is Robin Hood even a superhero? How did I spin that to work in my favor? I also remember applying for a prestigious merit scholarship, spending hours working on the many required essays and receiving a polite, formal email that I had not been selected to advance to the next round. Past this, my memory of applying to college is hazy, a discarded file that I never needed to access again (so I thought), hidden somewhere in the mix of other high school memories that I must have been more present for. Writing my admissions essay was just another task on my long senior year to-do list. I really had no idea the weight it carried in the admissions process. Former adviser Andrew Worrell, who served in Surry County from 2015 to 2017, heard this question from students too. He identified this insecurity with storytelling as the main barrier for students when it came to writing application essays. 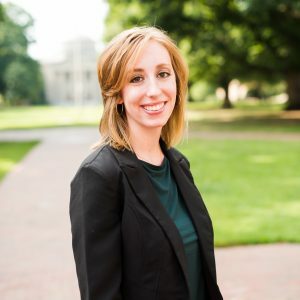 He strove to provide students with confidence in and ownership of their stories, and he shared these goals with me and the other other Surry County college adviser at the time, Emily Simpson (2014-2017). Meanwhile, Ms. Simpson saw the work that Mount Airy High School English classes were doing with North Carolina author Jeremy Jones’s memoir, Bearwallow: A Personal History of a Mountain Homeland. In this memoir, Jones seeks to find his own voice after leaving the mountains of North Carolina for college and returning home again. The book revolves heavily around place and how places influence our personal narratives and voices. We saw in Jones a speaker who could relate to our students in Surry County. Through a collaboration between our advising team, Jones, the UNC office of Undergraduate Admissions, the three school systems in Surry County, and our local community college, the Surry County College Essay Workshop was born. For the past two years, a mix of juniors and sophomores from across Surry County have come together for a creative writing workshop held at Surry Community College and geared toward helping them weave personal narratives into their college admissions essays. The event opens with a representative from the UNC Admissions Office (Allee Olive in 2017 and Patricia Baum in 2018) who speaks on the admissions perspective of reading college essays. This year, Baum spent time debunking common myths about college essays—that students must have experienced a tragedy or hold a grand accomplishment to write a worthy essay. She emphasized that admissions representatives are humans, with human issues, reading students’ essays. The majority of the workshop is led by Jones, who leads students in a creative writing exercise. Jones has the students write about the same experience three times. First students “show” what happened, in the present tense, using only action and dialogue. Next, students are instructed to “tell” what happened, in the past tense. Finally, students combine their first two drafts to show and tell their experience. “Show, don’t tell,” is a myth, Jones argues. Students must show and tell in their writing. He urges students to write in their own voices without feeling insecure about their vocabulary lest they use thesaurus.com to replace words that fit their personal voices with words that don’t. He references Stephen King, describing writing as telepathy, and Harry Potter, describing the details of one’s writing as “portkeys” to another place. Students are engaged and writing throughout the workshop, and they are encouraged, time and time again, that there is no required topic for the college admissions essay. After my second year organizing the event, this time alongside first-year advisers, Samantha Jenkins and Chelsea Gary, I find myself thinking back on my own college admissions essay. I’m sure I could not have written it about any grand or tragic event in my life. It must have been simple. But, someone in the admissions office at UNC read it, and someone learned something about me that they couldn’t have known from my transcript. Ultimately, that is the goal for the students we advise. While I hope that the Surry County College Essay Workshop will continue every year and become a building block for the college-going culture in Surry County, it is more important that advisers remember this: sometimes, the best brainstorming method to use with students who are stumped on what to write about is to start a simple discussion. Give students the confidence to tell stories about themselves, and assure them that their stories have value. They all have people and places and things in their lives and those people and places and things are worthy of sharing.